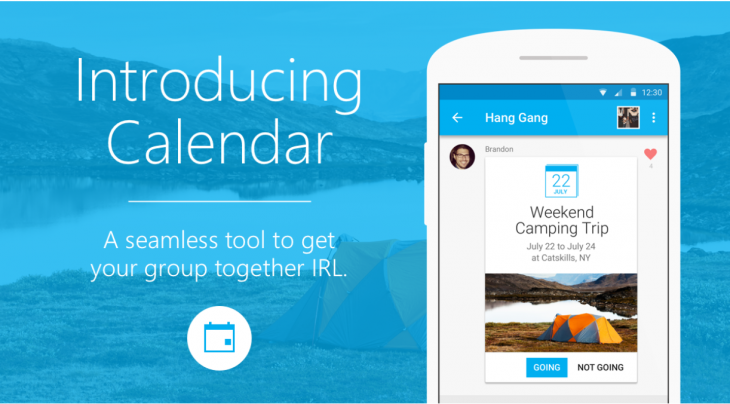 Microsoft-owned messaging app GroupMe today launched a new Calendar feature, allowing groups to organize events directly within the app. Users can simply find the Calendar button on the menu bar to create an event for any group they’re in. Organizers can ask members of the group to RSVP and set reminders for the event. 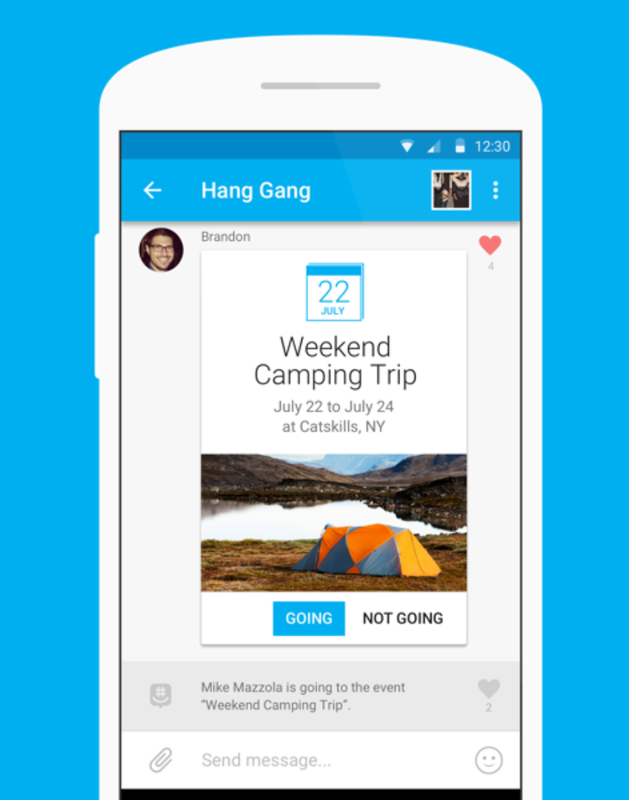 Attendee responses will appear in-line on the messaging thread, allowing group members to Like whether or not their friends plan to show up to said event. The update is live on Android, iOS and Windows Phone today. Unfortunately, it won’t sync with Sunrise, the calendar app Microsoft acquired last week. We asked the company if the GroupMe events will integrate with any other calendar services, and we’ll update the post if we hear back. In addition to the new Calendar feature, the update today brings Android app a Material Design refresh while the iOS app now supports @ mentions.